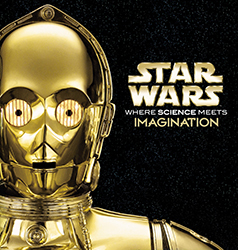 Be sure to check out Lucasfilm's successful globetrotting exhibition, Star Wars: Where Science Meets Imagination. This exhibition takes the science of the Star Wars universe and compares it to the real scientific advancements found in our world. The two major technology themes of the exhibition are "Getting Around," an examination of transportation methods and "Robots and People," which examines modern robot technology. Props, models, and costumes from all six films round out this exciting and educational exhibition. Learn more or plan your trip by visiting the exhibition's official website, Star Wars: Where Science Meets Imagination. Teacher resources provided by Powerhouse Museum, Sydney. 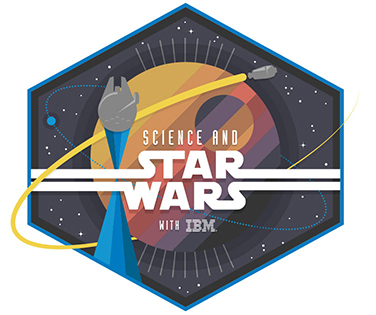 The official Star Wars YouTube channel has partnered with IBM to create a terrific series that examines the Science behind Star Wars. Be sure to check them out! **Written by Lee Roop & Kenneth Kesner, Posters by Charles Apple, 2010 AL.com. How Fast Are the TIE Fighters in Star Wars VII? In this section you will find current event articles that relate science and Star Wars. Educators can use these current events to connect the events of Star Wars with the present day. The most recent science articles are shown below. A California native, Megan Dolman grew up with a love of the outdoors but also, more importantly, with a love of Star Wars. As a child, her prized possession was a VHS box set of the original Star Wars trilogy. Dolman and her sister would watch the movies so much during their summers off from school that they were able to recite them to each other in their room at night. After returning to the Bay Area in 2013, Dolman has spent four years working at Industrial Light & Magic as a layout artist, translating and staging 2D storyboards and scenes into a 3D environment so that visual effects can be added. This past year, Dolman was finally able to realize her dream of working on a Star Wars film. StarWars.com sat down with Dolman to discuss her journey to ILM, her work on Star Wars: The Last Jedi, and what it takes to translate the real world into a digital one. We are now in the thick of summer, and if you’re not covered up properly, you’re not going to enjoy the record heat in some areas of the sector. One can imagine that a hard lesson learned by cast and crew on the set of Star Wars movies must be that, at least once, you’ll have to prepare yourself for a desert scene (or five). Under the blistering heat of the Tunisian sun in A New Hope, crew members often took to wrapping shirts around their heads to block the sun and cool down. But for the actors and those who would follow in their footsteps, being on set was something of a different story. That story happened to be one told, in part, by the costumes they wore. You’ve probably seen the Frozen, Iron Man, and Star Wars prosthetics—intended to boost the confidence of kids with missing limbs. Now you can even meet the first man with the Luke Skywalker arm. With today’s ever-increasing technology some of these once fictional devices are making their way to real-life. From A New Hope to The Force Awakens, Lucasfilm has continually strived to push technology and storytelling into uncharted waters. Today, Lucasfilm announced a new collaboration to continue that legacy: ILMxLAB, Lucasfilm’s immersive entertainment division, is joining forces with Magic Leap, the leading pioneer in Mixed Reality technology. Two hundred and thirty-five years after the Italian scientist Luigi Galvani reported that dismembered frog legs twitch in response to a static charge applied to a nerve, we are still exploring the mysteries of what he called “animal electricity,” especially in the brain. That the brain generates a bit of its own electricity, which can be detected by an electroencephalogram, or EEG, is well established, as is the fact that some neurosurgeons today sometimes use hair-thin electrodes to stimulate deep brain structures and stop Parkinson’s tremors. But scientists are now exploring a question that is, well, mind-boggling: Can low-voltage doses of electricity, transmitted through hair, skin and skull directly into particular regions of the brain, make already healthy people sharper and more alert? In the last hangar off the runway in Prineville, Oregon, Sam Bousfield locked down one of the wings to his flying car. His engineer was busy burnishing the parabolic slope of the carbon-fiber finish. Bousfield handed me half a tail wing. It floated in my hand, light as balsa wood. “Eight pounds,” he said, which, for a structural component of an airplane, is almost nothing. Off in the far side of the hangar sat his original wooden mock-up of the chassis, a three-wheeled aerodynamic lozenge right out of a manga enthusiast’s idea of a speed racer. He encouraged me to climb in and get a feel for the feng shui of the driver’s seat, the view out the windshield, the sense of balance. But what he really wanted me to see was that this thing was real—that the flying car is no longer in that jetpack realm of promising technology that never quite arrives. “I expect to take this car into the air in June,” he said. The reverberations of the announcer's amplified voice fade into the darkened auditorium, and the last few cheers from the crowd are cut off by a sizzling buzz. In the center of the stage, awash in blue and purple light, a figure steps forward. Helmeted like a knight, draped in what appears to be chain mail and wielding an electric guitar, the figure plays the first few crackling chords of his set. As he does so, forked tongues of lightning reach out from two towers flanking the stage and strike him. But he doesn’t even flinch. Making the cut for NASA's astronaut program isn't a prerequisite for doing outer space research. A team of students at Arizona State University have created tiny satellites that can be launched into space for as little as $1,000, hundreds of times cheaper than traditional satellites. The 3-centimeter-wide devices, called SunCube FemtoSats, could make the barrier for space research much, much lower.